Danitte Marsden, a sales assistant at Sunrise at Bluemont Park, Arlington, VA, demonstrates the move-in tool. Programs that ease the move-in process for residents and staff and that create “legacy messages” for residents have captured Gold Awards in the Transitions and Dignity categories, respectively, in the Senior Living track of the 2018 McKnight’s Excellence in Technology Awards. Sunrise Senior Living and Spectrum Retirement Communities are the Gold winners in these categories. 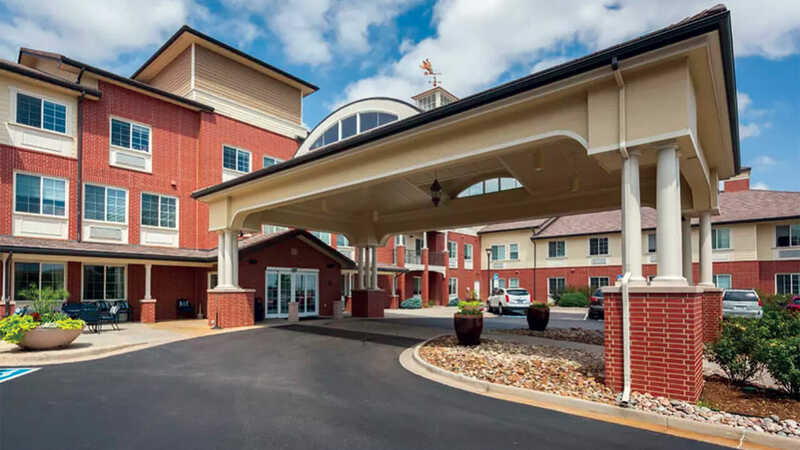 In 2015, Sunrise Senior Living began to focus its enterprise-wide continuous improvement program, Sunrise Strong, on a way to ease the completion of move-in paperwork for staff members and residents alike. To devise an answer, approximately 17 people across the sales, care, operations, legal, marketing and accounting teams came together to help tailor a program that was tested in 14 communities before being rolled out more widely in January 2018. Along the way, residents and their families as well as members of the IT department were involved, too. Residents and their families now may complete the move-in forms and residency agreement wherever they like — in the community or remotely — as long as they have internet access — and doing so takes 67% less time, Perun said. “Financial commitment turnaround for out-of-state customers has dropped from up to three days to 10 minutes,” he said. “On an annualized basis, Sunrise team members spend 26,000 less time on the administrative work associated with a move-in than the previous process.” To boot, the organization now has form consistency and compliance across communities. Care, clinical, business office and sales employees are able to access information as soon as the relevant form is completed in the system, with electronic signature and communication capability within the system also helping to speed the move-in process and freeing up more staff time to serve residents, Perun said. “All departments within the community are using the tool to see the customer’s progress in filling out the paperwork and understanding each resident’s unique needs and preferences to being preparing for the resident’s move-in earlier,” he said. Silver Award: Asbury Communities, Frederick, MD, for its care navigation reporting solution, which filters information derived from Netsmart Vision to enable associates to take a proactive rather than reactive approach to resident care needs through a customized data-driven care model. Bronze Award: Maison Jardin Senior Living Community, Morgan City, LA, for its use of the LTC Trend Tracker from the American Health Care Association / National Center for Assisted Living. Maison Jardin said use of the LTC Trend Tracker has helped the community set goals and measure quality so it could demonstrate quality and differentiate itself to stakeholders. Maison Jardin has earned Bronze and Silver Quality Awards from AHCA/NCAL and plans to go for the Gold now. Spectrum Retirement Communities’ Lincoln Meadows senior living community in Parker, CO.
Denver-based Spectrum Retirement Communities won Gold in the Dignity category in the Senior Living track for its use of technology to create “legacy messages” for residents. Spectrum also uses the technology to highlight for family members the fun taking place in its independent living, assisted living and memory care communities, Comita said. Spectrum announced its partnership with HeartLegacy in September 2017. Deployment of the company’s Life Story Program would match the needs and culture of each community, Spectrum said at the time. The organization has 47 communities in 10 states. Silver Award: Edgemere, a Senior Quality Lifestyles Corp. life care community in Dallas, for its Virtual Reality Travel Club, which gives residents a new way to learn technology, brings travel experiences and memories back to life, enables residents to learn about the culture and histories of various other countries, serves as a memory exercise and provides outreach to the local youth. Bronze Award: The Maplewood, Webster, NY, for its use of CareShare Manager, a cloud-based healthcare relationship management database technology, to enable the community to capture real-time information about the behavioral and interpersonal engagement of residents using tablet computers and internet connections. The technology helps streamline activity-planning and scheduling, as well as attendance-tracking, and provides access to that information, as appropriate, to managers, staff members, family members, volunteers and care providers at any time and anywhere with internet access, according to the organization.